EXCLUSIVE AT NET-A-PORTER. Les Héroïnes has created a modern capsule of bridalwear containing more than just traditional gowns. 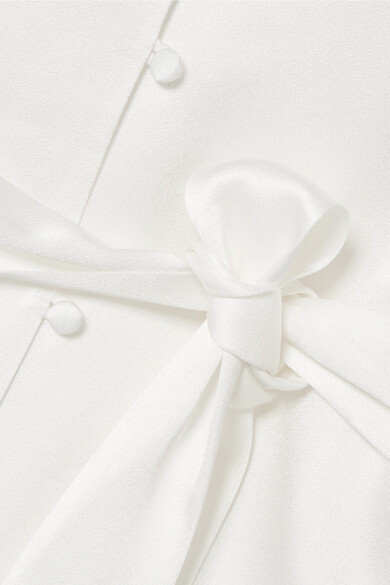 Made from lustrous ivory satin, this blouse has a plunging V-neckline and elegant covered buttons. The floaty sleeves are detailed with ties which can be pulled to create ruching. Wear it with the coordinating pants and metallic sandals. 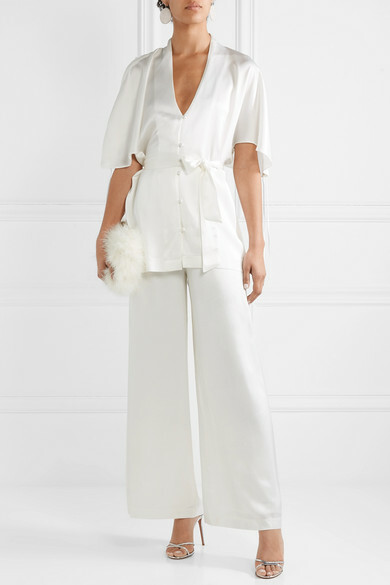 Shown here with: Carolina Santo Domingo Shoulder bag, Aquazzura Sandals, Kimberly McDonald Earrings.